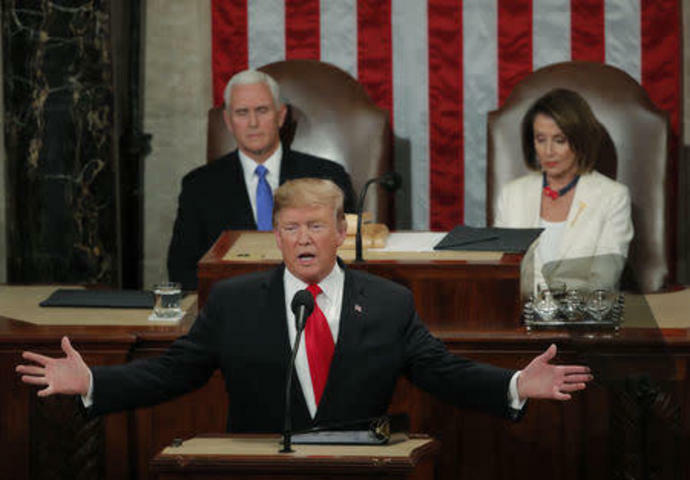 Apart from lauding economic accomplishments - unemployment near a five-decade low and manufacturing job growth among them - Trump's speech was light on new initiatives to further stoke growth in an economy seen as losing momentum as it began 2019. A Reuters poll last month forecast economic growth would slow to 2.1 percent this year after likely averaging around 3 percent in 2018. The Republican president appeared in the House chamber just weeks after his demand for $5.7 billion in funding for a U.S.-Mexico border wall triggered a historic 35-day partial government shutdown that more than half of Americans blamed him for, according to Reuters/Ipsos polling.